The term "ecclesiastical" derives from the Greek ekklesiastikos, from ekklesia, an assembly or meeting called out, which in turn derives from ekkalein, to call forth or convoke, ek, out, and kalein, to call. This assembly often referred to the Christian Church and its clergy. Ecclesiastical dress refers here to garments worn by Christian leaders, including members of monastic orders-as distinct from the laity-from the early Christian era until the present, not only in the West but also in all parts of the world where the Christian religion is practiced. The origins of ecclesiastical dress have been debated, with some attributing early forms to garments worn by Jewish religious leaders, while others have argued that these vestments derived from everyday Roman dress worn during the early Christian era. In the early 2000s, the latter explanation prevails. Different forms of ecclesiastical dress have developed with the expansion and elaboration of the Western and Eastern Churches. The forms and meanings of ecclesiastical dress have changed over time and have variously been used to separate the mundane from the spiritual, to emphasize the glory of God through beautiful raiment, to express religious humility and piety, and to identify individuals within the church hierarchy. Depictions of early Christians in the Catacombs of St. Domitilla in Rome include a painting of the Good Shepherd, wearing a white tunic or tunica, a rectangle of white material-made either from linen or wool-with a girdle holding it in place. The secular use of this garment was as an undergarment, covered by a toga. Church leaders adopted the dalmatic, also a tunic-like garment, worn in ancient Rome, by the eighth century as an upper-vestment worn by bishops, deacons, and sub-deacons. The paenula, which was worn as an outer garment, was the secular precursor of the chasuble, a term derived from the Latin, casula, little house or cottage-a circular piece of cloth with a head opening and sometimes a hood, which protected its wearer like a house. It was formally decreed as an outside garment for clergy in 742 by the Council of Ratisbon. One of the earliest examples of the wearing of these garments by church leaders come from depictions of the chasuble or paenula, dalmatic, and pallium (a long woven band of white wool, decorated with crosses) in the sixth century mosaic from the Church of St. Apollinaire, in Ravenna. Ecclesiastical dress in the West and East developed along the same lines until the eleventh century; however, there were differences in the meanings and uses of these garments. In the West, vestments were worn to express Christian beliefs about the sacred and the mundane, as well as to distinguish the roles of clergy within the Church hierarchy. In the Eastern churches, these ideas were also present although the belief that ecclesiastical vestments literally represented the garments of Christ also existed. This belief was visually expressed, for example, in the vestment known as the sticharion, a tunic-like garment that had its counterpart in the alb, a white linen tunic used as a vestment in the West by the twelfth century. The sticharion had two bands of red ornamentation, known as clavi, which referred to the wounds made on Christ's body during the Crucifixion. Similarly, embroidery at the ends of the sticharion's narrow sleeves was meant to represent the manacles with which Christ's wrists were bound. While embroidered pieces known as apparels were used on albs, dalmatics, and tunicles to represent Christ's stigmata when placed at the end of sleeves and at hems, the practice of incorporating this form of ornamentation on vestments was gradually replaced by the use of lace in Western vestments during the sixteenth century. Vestments used in the Eastern Church include the phelonion; the saccos (a tunic with wide sleeves, worn by patriarchs); as well as the priestly insignia-the omophorion-the Western pallium-worn by bishops; two forms of stole-the epitrachilion and the orarion, worn by priests and deacons, respectively-and the square ceremonial cloth known as the epigonation, symbolically representing "the Sword of God," worn only in the Greek and Armenian churches by vested bishops. The phelonion, as depicted in medieval frescoes, was a round cloak similar to the medieval bell-shaped chasuble. Initially, it was made from white or colored materials alone, but by the eleventh century it was embroidered with small crosses. The art of Byzantine embroidery of ecclesiastical dress flourished during the period of the Palaeologus Dynasty, from the mid-thirteenth to mid-fifteenth century. Byzantine embroiderers used gold, silver, and silk thread to depict a range of scenes and personages from the Old and New Testaments on silk vestments. Several extant embroidered sacci from the fourteenth and early fifteenth century illustrate this Byzantium style of vestment, including two sacci associated with the Metropolitan Photius of Moscow (1408-1432). One side of the Grand Saccus of Photius includes heavily embroidered portraits of the Grand Prince of Moscow, along with a depiction of the Crucifixion, the Prophets Isaiah and Jeremiah, and three Lithuanian martyrs, all on a blue silk background, with the embroidery outlined with pearls. The Byzantine or Eastern Orthodox Church also includes the Syrian, Armenian, Nubian, Ethiopian, and the Coptic Churches, with their own traditions of ecclesiastical dress. There was considerable overlap in the vestments of the early Coptic Church with those of the other Byzantine churches. For example, the sticharion (tunic), orarion (strole), epitrachelion (stole), and phelonion (chasuble) were used by both. Later developments, particularly the introduction of the stole-like ballin that was worn by priests and bishops during church services, distinguished Coptic practice. Much of what is known of early ecclesiastical dress worn in these churches comes from texts, illuminated manuscripts, and wall paintings. During the Medieval Period, ecclesiastic dress in the Roman Catholic Church included a range of vestments used in relation to church services: the alb, cassock (an ankle-length garment with sleeves), chasuble, cope (a capelike garment used as outerwear), dalmatic, hood (a hood attached to cope, often nonfunctional), maniple (a folded cloth or narrow strip worn over the left shoulder of bishops, priests, deacons, and sub-deacons during Mass), mitre (a cap worn by bishops often with two tabs-lappets-of cloth hanging from the back), stole (a long strip of cloth, worn in particular ways to identify members of priesthood), and surplice (a loose, white, outer ecclesiastical vestment usually of knee length with large open sleeves). It was also during the thirteenth century that the English embroidery of ecclesiastical dress flourished, referred to as Opus Anglicanum. In continental Europe, vestments made of patterned silk velvets with intricately embroidered orphreys, decorative woven bands (used in the forms of crosses, pillars, and simple selvage bands on copes, dalmatics, and chasubles) were also produced at this time. With the separation of the Church of England from Rome in 1534, the embroidery of vestments in England fell into decline, to be resumed there during the nineteenth century Gothic Revival. During periods of religious reform and political change, ecclesiastical dress has often served as a symbol of the old regime, which must be replaced or denigrated by reformers, while those opposing the abandonment of older forms of ecclesiastical dress (and the church doctrine associated with them) have sought to maintain them. One famous example of a controversy was the debate over the white linen surplice, which became a symbol of Roman Catholicism during the Protestant Reformation in sixteenth-century England. With the separation from the Roman Catholic Church made final by an act of Parliament in 1534 and the subsequent establishment of the Church of England during the reign of Queen Elizabeth I (1558-1603), the surplice became the universal vestment of all Anglican clergy in 1563. Yet surplices, along with copes, albs, and chasubles, were seen as remnants of "popish dress" by Protestant religious reformers such as the Puritans, Methodists, and Baptists. Tracts with titles such as "A briefe discourse against the outvvarde apparell and ministring garmentes of the popishe church" written by Robert Crowley in 1578 were published and some Protestant leaders were imprisoned for refusing to wear a surplice during church services. These leaders preferred to wear simple, everyday dress, which did not distinguish them from the laity or from everyday affairs. Nonetheless, Anglican Church leaders preserved distinctive ecclesiastical garments, particularly those that continued to be used for royal services. During the seventeenth century, English Protestant ecclesiastical dress was modeled on contemporary dress fashions-specifically, a simple black suit, including a coast, waistcoat, and knee breeches, and a white neckcloth, while Anglican clergy wore cassocks and gowns. However, during the 1840s, those associated with the Gothic Revival in England sought to reinstate the practices of the Church of England during the reign of King Edward VI. In 1840, the Bishop of Exeter directed Anglican clergy to wear surplices, which led to the Surplice Riots when mobs in Exeter pelted those wearing surplices with rotten eggs and vegetables. The Bishop's order was rescinded, but by the second half of the nineteenth century, ecclesiastical dress-including surplices, copes, and albs-was incorporated into Anglican services, modeled after gothic vestments design, as interpreted by Victorian artists. This revival of the use of vestments coincided with the fluorescence of the Arts and Crafts movement during the nineteenth century in England. One prominent member of this movement, William Morris, who as an Anglo-Catholic, had supplied specially designed vestments to the Roman Catholic Church following the Catholic Emancipation of 1829. In 1854, the Ladies' Ecclesiastical Embroidery Society was organized to produce embroidered replicas of medieval designs (Johnstone 2002, p. 123). Along with these specialized workshops, ecclesiastical dress, which was mass-produced and mass-marketed through catalogs, also became available, in part, due to the increasing demand for such vestments from missionaries working in the British colonies during this period. Another example in which ecclesiastical dress became the focus of controversy took place in Mexico. Prior to the Mexican Revolution, the wealth and political power of the Roman Catholic Church was evident in ornate cathedrals and ecclesiastical dress. During the second half of the eighteenth century, dalmatics, copes, chasubles, and stoles made with silver and gold threads and elaborately embroidered with the emblem of the Convent of Santa Rosa de Lima, were probably made in the Mexican city of Puebla. While the Church had considerable popular support, its extensive landholding and its association with the political elite contributed to the view that it was an impediment to economic progress and social justice. During the Mexican Revolution that began in 1910, a series of anticlerical measures were taken, culminating with the writing of the Constitution of 1917, which provided for the confiscation of church lands, the replacement of religious holidays with patriotic ones, and the banning of public worship outside of church buildings, including processionals (Purnell 1999, p. 60). While these laws were enacted, they were not always strictly enforced until 1926, when Government leaders sought to further restrict the power of the Church through the Calles Law. This law outlawed Catholic education, closed monasteries and convents, and in Article 130, restricted the wearing of ecclesiastical dress in public. When the Mexican Episcopate ordered the closing of churches in response to the Calles Law, a popular uprising known as the Cristero Rebellion resulted, primarily in central West Mexico, during the period from 1926 to 1929. With the state's agreement to stop its insistence on registering priests and with the restoration of religious services-including the wearing of ecclesiastical dress-the rebellion ceased. Ecclesiastic dress has also served as a vehicle for expressing anticolonial sentiments in Africa, during the nineteenth and twentieth centuries. However, many early African Christian converts did not reject European styles of vestments, but rather incorporated indigenous elements into ecclesiastical dress as an expression of their discontent. In colonial Nigeria during the first half of the twentieth century, converts who occupied leadership positions in Roman Catholic and orthodox Protestant churches-primarily, Anglican, Methodist, and Baptist- generally wore the tailored garments (cassocks, chasubles, surplices, copes, and mitres) used by home church leaders. These garments distinguished Christian converts from those practicing various forms of indigenous religion, which had their own, often untailored, dress traditions. Yet some early Nigerian Christian leaders sought to assert independence from Orthodox churches over doctrinal disputes, often concerning polygynous marriage. Establishing their own churches, referred to generally as African Independent Churches, they did not entirely abandon tailored, Western-style vestments. Rather, these leaders developed distinctive ecclesiastical dress forms that identified these new churches and emphasized particular aspects of their doctrine. For example, Bishop J. K. Coker, the founder of the African Church, incorporated indigenous textiles, for example handwoven narrow strip cloths, into ecclesiastical dress. Leaders of the Independent African Churches such as Bishop Coker were the predecessors of nationalist independence leaders who supported secular independent states based on Euro-American models combined with African social and cultural elements. The controversies surrounding freedom of religious expression have, at times, been moderated through gradual change in ecclesiastical dress, which reflected church leaders' responses to changing political and social contexts. For example, early members of the Marist Brothers apostolic movement, which was founded in France by Father Marcellin Champagnat (1789-1840), wore "a sort of blue coat, … black trousers, a cloak, and round hat" garments, which he believed were imbued with spiritual power that protected its wearers from anticlerical attacks. While these vestments helped to attract and visually to distinguish new members during the post-revolutionary period in France, they also gave followers a sense of special protection. 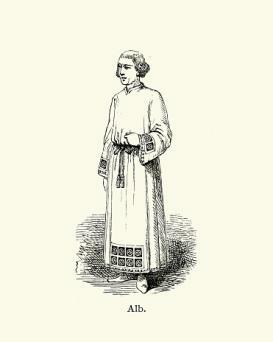 However, with the incorporation of the Marist Brothers' Institute as a religious order of the Roman Catholic Church in 1863, Marist ecclesiastical dress came to lose its mystical aspects and shifted to a uniform prescribed by the Church authorities, including a black soutane, white rabat, and a black cloak. With the Second Vatican Council in 1962, Marist Brothers' ecclesiastical dress again changed as a loss in church membership suggested a simpler, less-clerical style-such as a suit-would be more appropriate to modern worship. 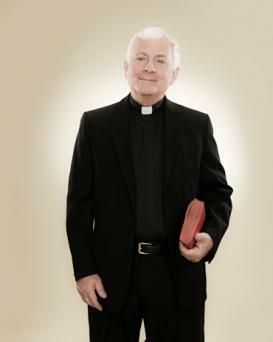 However, by 1987, some Marist priests returned to wearing the soutane, while others continued to wear secular suits, depending on their preferences and those of their parishioners. This shift from distinctive ecclesiastical dress that identified Catholic orders according to particular configurations and types of garments to current secular dress styles, indistinguishable from contemporary clothing is also evident in Western nuns' garb. Western nuns or Women Religious, whose name as well as dress changed with Vatican II, as of the turn of the twenty-first century wore everyday garments as a way of emphasizing their role in modern society, rather than their separation from it. In the West, this shift back to simplicity in Roman Catholic and Anglican ecclesiastical dress is expressed in simple, fully-cut vestments made from materials using natural fibers, reminiscent of those of the early Christian era. A leading figure in this movement is Sister M. Augustina Fluëler, a Capuchin nun, associated with the Cloisters of St. Klara, in Switzerland. One chasuble that she designed was made of off-white, plain-weave wool, with a stole of plain-weave silk with two embroidered crosses in gold thread. In a simple and elegant wool and silk dalmatic, she used narrow bands of rose and purple as edging, with broader alternating bands of these colors incorporated into the sleeves. Other expressions of this simplicity of vestment design may be seen in the embroidered works of Beryl Dean Phillips (England), in the handwoven chasubles of Barbara Markey Wallace (United States) and copes and mitres with lappets of Lennart Rodhe (Sweden), in the painted chasubles of Willam Justema (United States) and in the appliquéd chasubles of Henri Matisse (France). While utilizing different techniques-embroidery, handwoven twills, overshot, and tapestry, painting, and appliqué in their production, they share a spareness of patterning- often of crosses or of stylized floral patterns with little background ornamentation-and of natural materials- silk, wool, cotton, and linen. The design and production of these vestments by craftswomen and men underscores the belief that the careful and creative making of objects used in divine service is in itself a form of worship. These vestments convey "a certain splendid sobriety," the essence of the reform of the Roman Catholic Church associated with the General Instructions of 1962 that emphasize that the beauty of ecclesiastical vestments derives from "the excellence of their material and the elegance of their cut" (Flannery, p. 197), rather than from their elaborate ornamentation or color. The concept of the simple yet distinctive beauty of vestments coincides with Anglican views of contemporary ecclesiastical dress, the use of which should mark special religious events, but without ostentation. "304. Bishops' Conferences may determine and propose to the Holy See any adaptations in the shape or style of vestments, which they consider desirable by reason of local customs or needs. 305. Besides the materials traditionally used for making sacred vestments, natural fabrics from each region are admissible, as also artificial fabrics which accord with the dignity of the sacred action and of those who are to wear the vestments. It is for the Bishops' Conference to decide on these matters. (Flannery, p. 197) "
The use of local materials may refer to particular techniques-types of weaving, embroidery, or drawn-work-and types of materials-cotton, wool, lurex, among others. In the Philippines, for example, locally made vestments are constructed from handwoven cloth of pineapple (piña) and abaca (commonly known as Manila hemp) fibers. Abaca fibers are processed from the long plant stalks and the finely spun threads are handwoven into plain-weave abaca cloth, with designs made through discontinuous supplementary weft patterning (sinuksok) and resist-dyed ikat techniques. Abaca cloth made into vestments may also be embellished with a range of decorative techniques including, embroidery, appliqué, beadwork, and cut-and drawn work. Chasubles, copes, stoles, and mitres with lappets made from cloth hand-woven with piña fibers are similarly decorated. A new type of vestment was introduced in the Philippines in the 1970s, the chasuble-alb, known in the Philippines as the tunic. This vestment, worn with a stole, serves as both an alb and a chasuble, thus limiting the number of vestments needed by concelebrants and reducing the discomfort of wearing multiple layers of cloth in a tropical climate. However, not all liturgists have agreed with this change and in 1973, the Catholic Bishops of the Philippines restricted its use to particular circumstances. In Nigeria, there has been a shift from the purchase of ecclesiastical dress, mainly from Great Britain to the production of vestments in Nigeria itself, using locally woven narrow-strip cloth and batik-dyed textiles. Chasubles, mitres, and stoles, machine-embroidered with depictions of scenes and texts from the Old and New Testament as well as with more abstract shapes and symbols, may be produced by individual specialists or by nuns working in convent workshops. One woman, Mrs. Anne Salubi of Ilorin, a university-trained artist, is renowned throughout Nigeria for her chasubles, which have been commissioned by bishops in various Nigerian cities as well as in Ireland. During the recent visit of Pope John Paul II to Nigeria, Mrs. Salubi was commissioned to make the chasuble given to the Pope during his visit. Anglican and Methodist church leaders in Nigeria have also begun to incorporate handwoven cloth strips into ecclesiastical dress, using them mainly as stoles in different colors used for particular church seasons, with simple machine-embroidered design such as crosses. Smaller workshops combine the production of church stoles and choir robes with academic gowns. The mass-production and mass-marketing of ecclesiastical dress through catalogues reflect the accelerating interdependence of nations and communities in a world system linked through economics, mass media, and modern transportation systems. For example, Mexico-style ecclesiastical vestments are marketed on the website of the Mexican American Cultural Center, of San Antonio, Texas, which includes embroidered chasubles produced by the congregation of Sisters in Guadalajara, Mexico, as well as stoles made with locally handwoven zarape cloth strips. The web not only facilitates the marketing of vestments but also serves as a source of materials, such as metallic threads, which might not be available locally. Thus, globalization allows for specialization of local styles of ecclesiastical dress while also expanding the availability of supplies and the marketing of these national or ethnically identified vestment styles to communities outside the immediate homeland. Several recurrent themes have emerged during the long history of ecclesiastic dress. Early church dress consisted of simple forms, using natural materials, in part due to the persecution of Christians and in part due to a lack of well-defined church doctrine on dress. By the third century, with the acceptance of Christianity by Constantine, there was a shift toward ecclesiastical dress, which both identified wearers as Church leaders and also indicated their rank within the church. These two tendencies-one, toward visually portraying church hierarchy with ever more elaborate ecclesiastical dress, exalting the worship of God and Christ through beautiful vestments; the other toward downplaying distinctions between church leadership and laity through simple, unadorned styles of dress and, in the case of the Protestant Reformation, abandoning ecclesiastical dress entirely-have been expressed in various ways over the centuries. A related theme, uniformity and individualism, has also been expressed in ecclesiastical dress. For example, U.S. "women religious" have abandoned wearing habits, in order to address the contradiction between American social ideals of secular individualism and the religious uniformity that ecclesiastical dress represent, and to function more effectively in the secular world. These themes also reflect the relationship of changes in ecclesiastical dress and political, economic, and social changes, with reformers tending toward simplicity and contemporary secular garments, and with counter-reformers tending toward more elaborated vestments which reflect a nostalgia for past "traditions" in preference to secular "modernity." Contests between church and state have also been reflected in controversies over the wearing of ecclesiastical vestments. 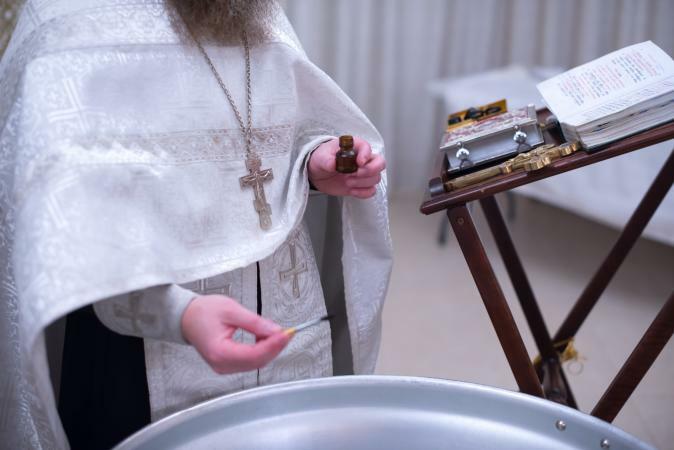 The themes of worldliness and spirituality, unity and individualism, and simplicity and elaboration, have been concerns expressed largely in terms of vestment use in Western and Eastern Churches in Europe and in the United States. 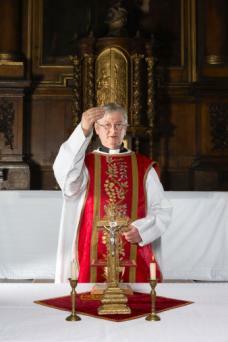 The use of ecclesiastical vestments as expressions of anticolonial sentiments and, more generally, to counter assumptions about Western cultural hegemony are themes that emerge in Christian communities in Africa, Asia, and Latin America, where conversion to Christianity has been more recent. European ecclesiastical dress has been viewed as a sign of modernity but also as a symbol of acquiescence to Western power. With national independence and with the later reforms of Vatican II introduced in 1962 and thereafter, African, Asian, and Latin American Roman Catholics began to incorporate locally produced vestments using indigenous materials into religious worship, supporting modern local and Roman Catholic identities simultaneously. Ecclesiastical dress is especially appropriate for asserting different identities and distinctions among individuals and groups because of the range of materials, colors, embellishments, and styles into which this dress can be shaped. Ecclesiastical dress may also be used to construct new identities that acknowledge cultural distinctiveness, while at the same time emphasizing membership in a universal world church. The continually changing configurations of vestments used in Christian worship attest to this aspiration for unity and distinction. The attempts to find an acceptable balance of old and new ways, of simplicity and ornamentation, of indigenous and foreign ideas and practices, reflect a striving for the harmonious unity of humankind and at the same time, a need for distinctive identities and beliefs, both expressed through the use of ecclesiastical dress. Innemée, Karel C. Ecclesiastical Dress in the Medieval Near East. Leiden, New York: E. J. Brill, 1992. Mayo, Janet. A History of Ecclesiastical Dress. New York: Holmes and Meier Publishers, Inc., 1984.